rough water and also deliver amazing performance. Google the phrase “multi-species fishing boats” and chances are you’ll see a photograph of the Starcraft STX 2050 front and center. The flag ship in the Starcraft line up of fishing boats, the STX 2050 is aluminum boat designed to handle waters large and small. Large enough to be sea worthy on the big pond, yet small enough to be easily trailered to any fishing destination, this icon is at home on any water. 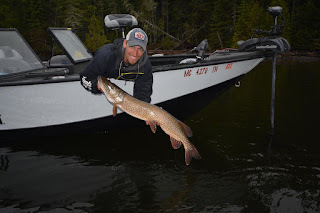 Just a few of the species I have personally caught while fishing from the versatile STX hull include walleye, smallmouth bass, largemouth bass, musky, northern pike, lake trout, brook trout, king salmon, coho salmon, atlantic salmon, steelhead, crappie, channel catfish, bluegill and yellow perch! A catch record like that is a pretty good endorsement of the STX 2050, but it gets better. water one day and jig fish the reefs the next. Most seasoned fishermen know that fishing boats are a compromise of sorts. 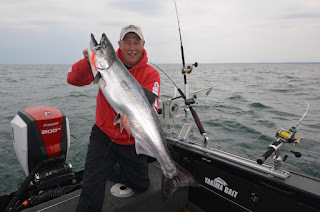 No single boat can do every fishing chore perfectly and the savvy in picking out a good multi-species boat is finding the models that have the fewest compromises. The STX 2050 features Starcraft’s exclusive Power-Trac hull that does an exceptional job of taming waves and providing top end performance that will literally blow your cap off. The STX features a reverse chine hull that is made from .125 thick (1/8 inch) marine grade aluminum. Most other boats in the 20 foot class feature thinner .100 thick hulls that simply don’t have the muscle to withstand years of service on rough water. When combined with the greater dead rise on the STX, the Power-Trac hull slices through rough water and delivers a smooth re-entry typically associated with fiberglass hulls. 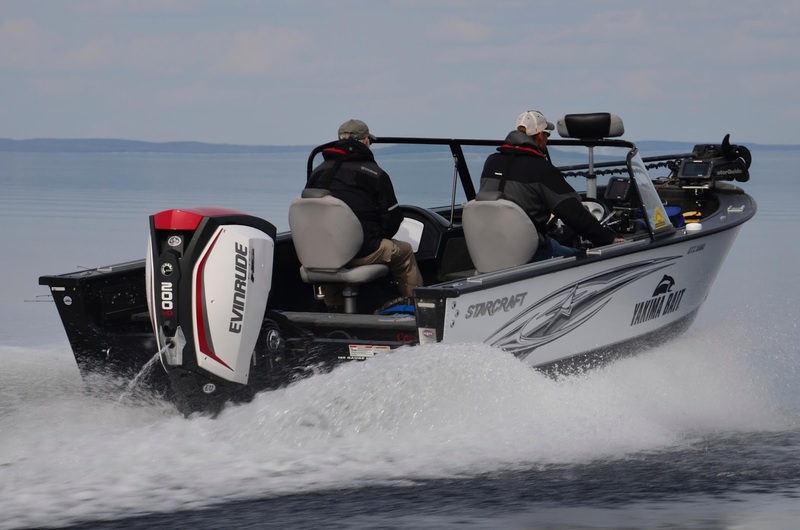 Starcraft’s reverse chine hull also provides an amazingly stable fishing platform, keeping the boat from listing and tilting even when two or three anglers move to one side. 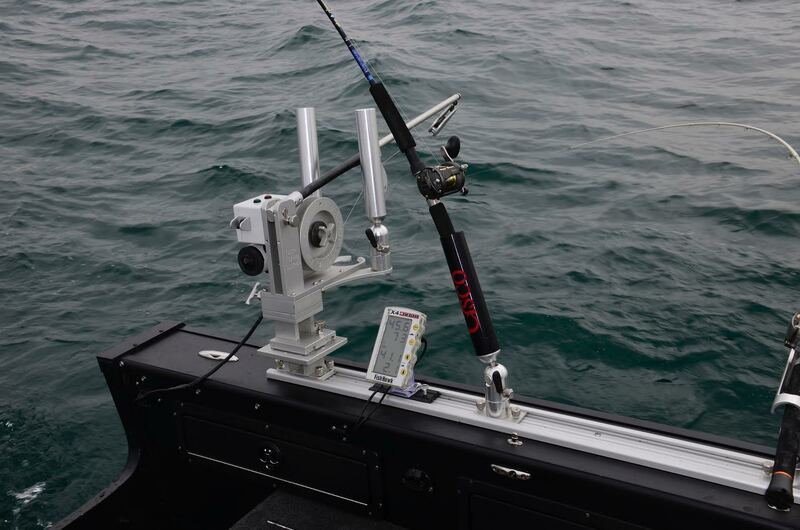 This stability also creates a boat that tracks true when trolling and when using a bow mounted electric motor to control the boat. The interior layout of the STX 2050 screams fishing. This dual console rig comes standard with a walk-thru windshield. Forward of the windshield you’ll find a raised casting deck that’s carpeted. Four dry storage boxes are housed in the raised casting deck along with a center rod storage box that can accommodate 10 rods in conveniently mounted tubes. This region of the boat also houses an aerated baitwell, bow platform for mounting an electric motor and a control center that allows important functions like motor trim, livewell pumps, courtesy lights, etc., to be controlled from the bow. 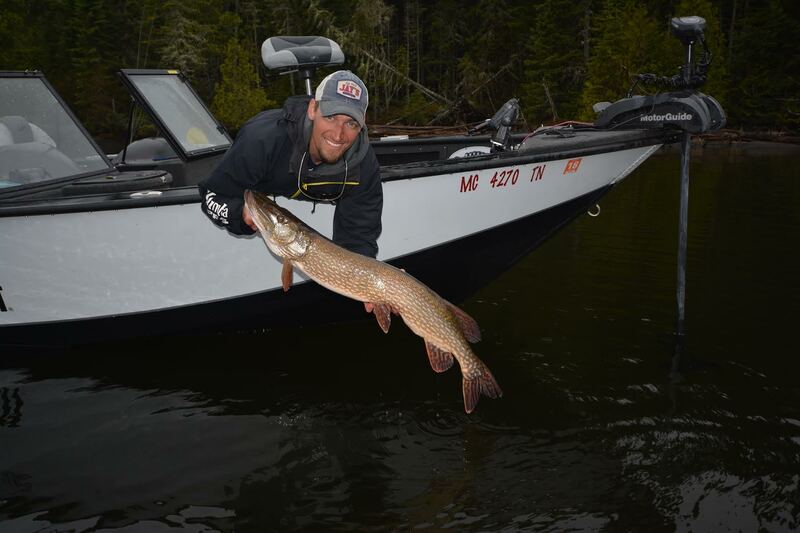 of handling big and small waters alike. pump is standard in this model, making it easy to wash fish slime, blood and grime down the drain. A huge livewell/baitwell combination is housed in a raised rear casting deck. In the floor, two dry storage compartments house a pair of cranking batteries and up to three deep cycle batteries where they can be easily installed and maintained. The gunwales of the STX 2050 are wide enough to easily accept track making it easy to rig this boat with rod holders, rod trees, downriggers, tool holders, electronics and a host of other fishing accessories. The transom is also spacious enough to mount a kicker motor on either the port or starboard side. Seating for four is standard on the STX as is a host of features other manufactures consider options. This boat comes with a wash down pump, double bilge pumps, courtesy lights, factory wiring for 24/36 volt electric motors, a built in charging system, MP3 player port, AM/FM stereo, console and bow mounted toggle switch controls and much more. Rated to handle a 250 horsepower outboard, my STX 2050 is rigged with a 200 horsepower Evinrude E-Tec G2 and runs 52 MPH with four men and a full 50 gallons of fuel on board. Boats rigged with a 250 outboard typically run in the low 60 MPH range! The STX 2050 combines a great ride and performance characteristics into a well designed and functional fishing platform. A boat an angler can jig from one day and troll from the next, the STX 2050 is an impressive multi-species boat for the serious angler. Last, but certainly not least, the STX 2050 is a good looking boat. The new black-out hull and top cap against a white sides and charcoal trophy makes for a strikingly attractive boat. To learn more visit www.starcraftmarine.com or visit your local Starcraft dealer.